Proceedings: all participants have been given the link to the page from which they can download all presentations. Proceedings are also available free of charge to all EWEA members via the EWEA Members’ Area. For non-EWEA members, proceedings can be ordered on this page. 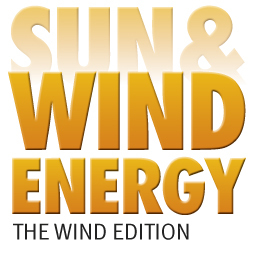 Session description: A wind projects layout and turbine selection is strongly influenced by the need to comply with the applicable noise standards. This session will provide an overview of regulatory approaches and limits as well as the types of studies undertaken to support development of wind turbine specific noise regulations. In addition, a more in depth overview of how wind turbine noise is regulated in Germany, a country that has seen substantial growth in wind over the past decade, will be provided. Finally, potential emerging regulatory approaches will be discussed. Session description:This session will discuss several aspects about the noise siting of wind farms. Wind farm developers are going to report about their noise assessment processes, e.g. site specific characteristics that are influencing the noise propagation and noise management options to minimize production losses due to noise curtailments. Moreover, the session is going to discuss engineering as well as advanced noise propagation simulation methods, the difficulties in choosing the right input settings and the associated noise prediction uncertainties. The session will also introduce a planned public exercise to compare noise propagation simulations for a given wind farm layout which shall support a follow-up discussion on best practices for noise propagation simulations. Session description: In this session we will look at cutting edge developments focused on improving the sound characteristics of modern WECs. Focus is on sound magnitude and character, and thus three favourite topics: SPL reduction, OAM understanding and mitigation as well as designing for no tonality. 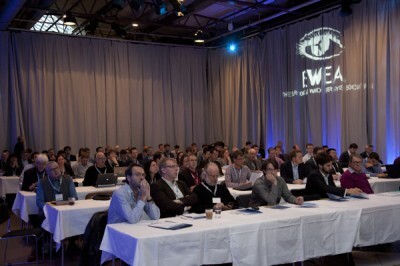 Following in the spirit of past EWEA Workshops ample time has been allocated for in depth discussion between the expert speakers and the audience.